Over on YA Buccaneers, the theme for the month of December is "2013 Rewind"—and as we're all writers (and avid readers, obviously), what better thing to look back on than the books we've read this year? Each of us will be sharing our Top 10, and you can find links to all of my fellow pirates' picks on the YAB blog HERE. We'll also be sharing playlists, to go along with the theme of "2013 Rewind"! On my playlist, I've included a sampling of music that meant something to me this year. Most of the songs are directly related to my writing—either they go along with certain scenes in THE DISTANCE BETWEEN LOST AND FOUND, they made frequent appearances on my go-to writing station on Pandora, or they're just inspiring to me for one reason or another. Click HERE to check out my playlist—I hope you enjoy it! And now, without further ado, here are my Top 10 books of 2013. As of the writing of this post, I've read 87 books in 2013. Frankly, I'm pretty astonished by that number; it far exceeds my goals and expectations! And I have to say, choosing a Top 10 out of all of the wonderful books I read this year was really challenging. There were a few that I knew HAD to be on the list, no question…and then a LOT of amazing runners-up. What you need to know about this list: It runs the gamut from middle-grade to young adult to adult, genres from contemporary fiction to fantasy to scary sci-fi to memoir. The books are listed in the order I read them this year, rather than as a true Top 10 counting down to number one. Some are 2013 releases; others have been out a while and I just found my way to them this year. And, um, the obvious caveat: I read a lot this year, but I haven't read everything, so if your favorite isn't on the list, please tell me about it in the comments! My friend Cassie loaned me this book back in February because she was astonished I'd never read it. (Here's my original blog review!) Even now, months later, I'm smiling just thinking about author Haven Kimmel's infectious voice relating various hysterical and touching stories from her childhood in the midwest. 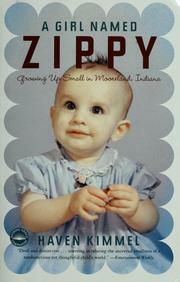 This book made me laugh out loud. It made me think about all of the everyday absurdities of my own childhood, the things that you take for granted as normal because they're all you know at the time—but in retrospect, you can only shake your head and laugh. Most of all, it reminded me how much I enjoy memoirs. 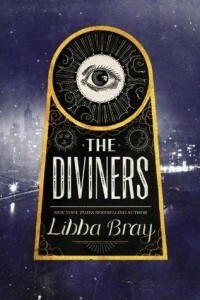 I wrote about Libba Bray's THE DIVINERS back in March (HERE), and I am still thinking about this sassy, fun, creepy, beautifully written book! This supernatural story about ghosts, psychics, and other paranormal phenomena in 1920s New York City has it all: flappers, speakeasies, Ziegfeld girls, bobbed hair, and loads of period slang. Plus, there is a truly scary murderer on the loose, threatening our heroes and heroines. Much to my chagrin, the second book in the series isn't slated to come out until next August. Wah-wah. Amy McNamara's LOVELY, DARK AND DEEP was my first real Wow book of 2013. 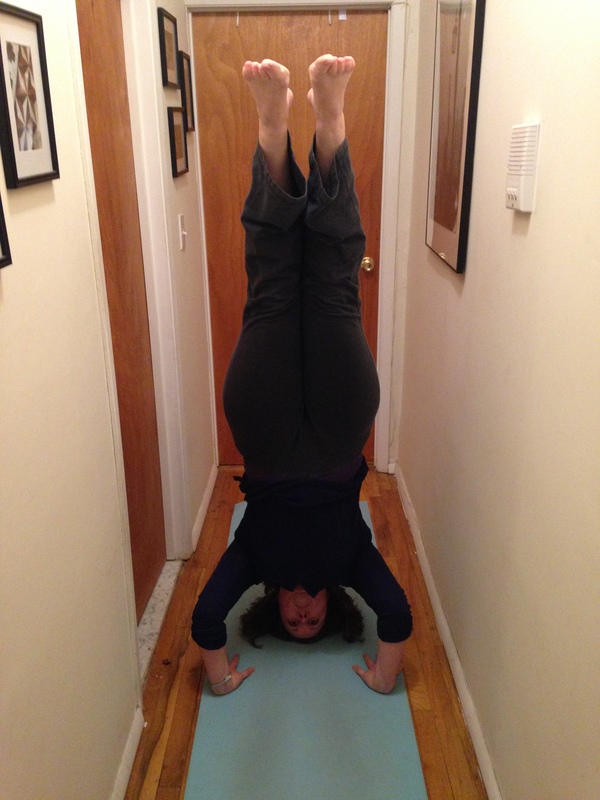 (I gushed about it in this post!) I adored everything about this book: the breathtakingly beautiful language, the harrowing portrayal of deep grief, the sweet relief as the main character, Wren, started to find her way out of the darkness…I could go on and on. (And on…) Just writing this paragraph is making me long to pick up this book again. And as a side note, in my initial meeting with my editor at HarperCollins, the brilliant Alexandra Cooper, I discovered that she'd edited this book (in her previous position at Simon & Schuster)—and I immediately knew I was in excellent hands. 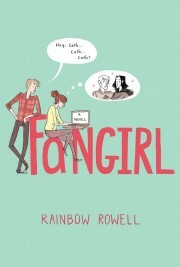 Let's get this out of the way up front: 2013 was the year of Rainbow Rowell. In addition to the luminous ELEANOR & PARK (which I first blogged about HERE), her second YA novel FANGIRL is below on this list, and her adult novel ATTACHMENTS didn't fall too far short of my Top 10 for the year. I love Rowell's way with words. She describes things in ways I haven't heard before, and yet that ring so immediately true. Her characters feel so honest and real to me. 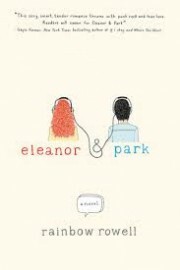 In the case of ELEANOR & PARK, I fell hard for the budding love story between the two title characters, but I also fell for them as people. I wanted to hang out with them as long as possible, and I was sad when the book ended simply because I wanted more time with them. This one will be a reread for years to come, whenever I want to feel swept away like I did when I first read it. 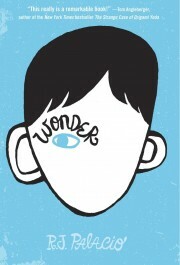 I picked up WONDER by R.J. Palacio at the recommendation of my agent, the amazing Alyssa Eisner Henkin, who also represents Palacio. Alyssa couldn't stop talking about this book when we met for lunch back in April. I'm so glad she encouraged me to read it! The story of Auggie, a fifth-grader dealing with extensive facial deformities, is challenging and uplifting. It's narrated by Auggie himself, as well as by various people in his life who are also affected by his condition. The book (which I initially reviewed HERE) succeeds spectacularly at presenting a well-rounded view of what it's like to be a child living with a major (and highly visible) health problem, but it also succeeds on a personal level. Auggie is a charming, intelligent narrator. It's impossible not to root for him. David Levithan's latest book (original post HERE) is beautifully written and moving. It's also important, and it has experienced its share of controversy. (And just a few days ago, I wandered through the Teen section at Barnes & Noble and discovered that someone had turned TWO BOYS KISSING backward. I turned it face-out again, hoping that how I found it was an accident rather than deliberate…) The book is primarily about eight boys who are gay, two of whom are attempting to break the world record for longest kiss. But because it's narrated by a chorus of gay men who died during the AIDS crisis, TWO BOYS KISSING becomes so much more than these individual teens' stories. In October, I raced through Gayle Forman's JUST ONE DAY and JUST ONE YEAR (read more HERE). I know I'm kind of cheating because these are, in fact, two separate books, but because they tell one complete story—and because I read the pair in, oh, two days—I'm including them as a single unit. Forman excels at book "duets," and it's so much fun to get to experience love interests Allyson and Willem's journeys from both sides…especially given both books' endings. (No spoilers here!) 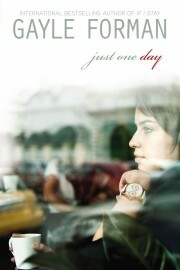 JUST ONE DAY and JUST ONE YEAR are romantic, exciting, and heartfelt. Plus, I loved all of the traveling and wanted to see the world with the characters! 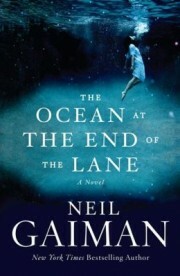 I love pretty much everything Neil Gaiman writes, and this book was absolutely no exception. A slim novel that packs a wallop, THE OCEAN AT THE END OF THE LANE is a creepy and beautiful fairy tale narrated by a middle-aged man who returns to his childhood home for a funeral. When he visits a farm near the house where he grew up, he falls into the memory of a magical and terrifying sequence of events that happened when he was seven. The magical elements—a trio of ancient, powerful women; a horrifying nanny who isn't what she seems; an endless ocean disguised as a lake next to a farmhouse—are vintage Gaiman, but the book feels like his most mature yet. It's a story of innocence lost, a story of regret and of the things that are too big and painful to remember. This book snuck in under the wire—after having heard great buzz about it for months, I picked it up on a whim at the start of December, and couldn't put it down. 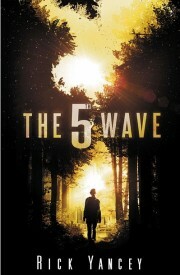 Rick Yancey's THE 5TH WAVE opens mid-alien invasion, when the human race has already been pretty much decimated and those people still alive don't know who to trust. Our main narrator (of four) is 16-year-old Cassie, who is managing to survive but is convinced she's the last person on earth. Still, just in case, she's setting out to try to find her little brother, who she last saw boarding a school bus that was supposed to take him to safety. And…I refuse to spoil any more of the plot, because the twists and turns are half the fun. If you like science fiction page turners, equal parts fast-paced action and gut-wrenching emotion, this is one of the best ones I've read in a long time.